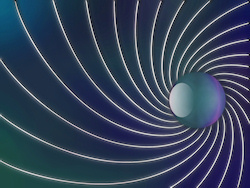 There are 26 images tagged with “lavender”. Light rays are one of those things that appear rarely in nature but frequently in art. But I guess in a sense that&apos;s what art is - a selective view of nature. And the rays do add some nice depth to a lot of scenes. 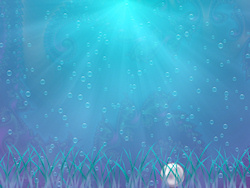 This image was made almost entirely in Paint Shop Pro, but I thought a subtle fractal background made the water more interesting. 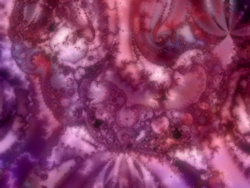 This picture developed like many of my abstracts, with a fractal design that I played with and manipulated until it didn&apos;t bear much resemblence to the original. It this case it was an orange and lavendar pattern that looked rather like a phoenix&apos;s wing. 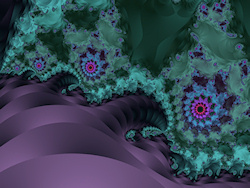 This picture is from the XaoS fractal zooming program. 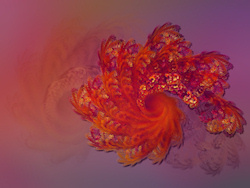 It has several sets of fractals that the user can zoom in on at any point, as well as change the color scheme. 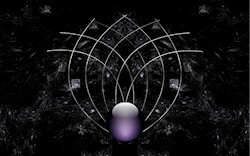 This was one of my first fractal/abstract works. I was practicing how to make the jeweled orbs and metallic filigree. I think the jewel turned out pretty well, but the filigree was still a bit rough around the edges. I chose the title because I like the word “dusky” as well as the the dark grey/blue/purple color it sometimes signifies. A few months later when I got a grey kitten I named him “Dusky” too.